In case you missed the webinar today with us, click on the video and discover how Barcodes and Extreme Networks can help you secure the IoT through automation and your intelligent network. In the webinar, you will learn how Extreme’s wired and wireless solutions can secure your systems, applications, and users to ensure maximum protection in your facility. Contact us if you have any questions or give us a call at 1-800-351-9962 and we will be happy to help. It’s Not Too Late to Join our Extreme Networks Webinar! Are you interested in learning the advantages and the value of securing your IoT using Network Automation? Come join us for the Extreme Networks webinar that we are hosting on October 23! We will discuss how Extreme’s wired and wireless solutions can secure your systems, applications, and users to ensure maximum protection at your facility. 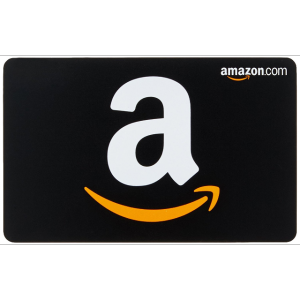 Register now here for a chance to win a $25 Amazon gift card! The winner will be announced at the end of the webinar. P.S. If you cannot attend the live webinar, be sure to register anyways and we’ll send you the recording and slides afterwards! Traceability in any industry is important, whether you are scanning products in retail, warehouse, medicine, or shipping labels. 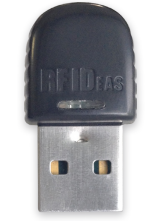 Data need to be capture to hold information that needs to be fulfilled. Update the tools you need to eliminate extra steps, meet the growing demand, and exceed your productivity goals. 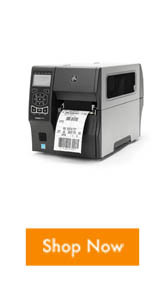 Advance your daily operations and ensure that you can scan it right on the first time for faster data capturing, decrease processing time, and please all your smart shoppers. Read the infographic to see how Barcodes can provide you with the solution that you need with Zebra products. Contact us for a free assessment and let us know if you have any questions or concerns and we can show you the way to prepare for the future. Challenge: Grocery chains today struggle to find a way to attract customers to visit the store. With the grocery shopping platform expanding into cyberspace through websites and mobile apps, customers have so many choices in when and where to shop for their products. Retailers need to raise the experience and stand out from its competitors and deliver a personalized shopping experience to their customers to increase in- store shoppers. Solution: Janam’s XM75 can build the bridge between the gaps of mobile and in-store shopping by capturing and providing the data that you need to generate a personalized experience for your customers. 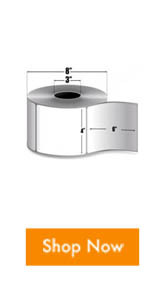 It can help deliver the complete experience to the retailer and consumer. 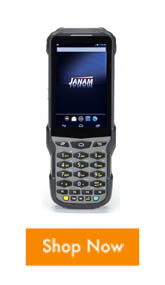 The Janam’s XM75 can bring innovation to the retail and grocery space to better execute inventory management, employee communications, and customer service. 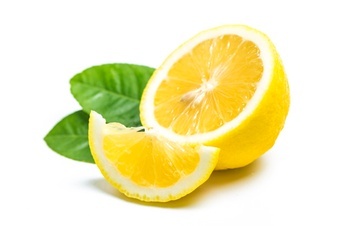 To increase customer satisfaction and retention, which can help change and transform your business in order to meet the demands of the consumers. Watch the video below and learn about the features of the XM75 and see how it can boost your grocery-chain operations. Feel free to reach out to our dedicated account managers if you have any questions or for a solution that works best for you. Come Join Us for the Extreme Networks FREE Webinar! The new Janam’s XG200 is optimized to outperform the daily tasks in warehouses, distribution centers, loading docks, and logistic centers. 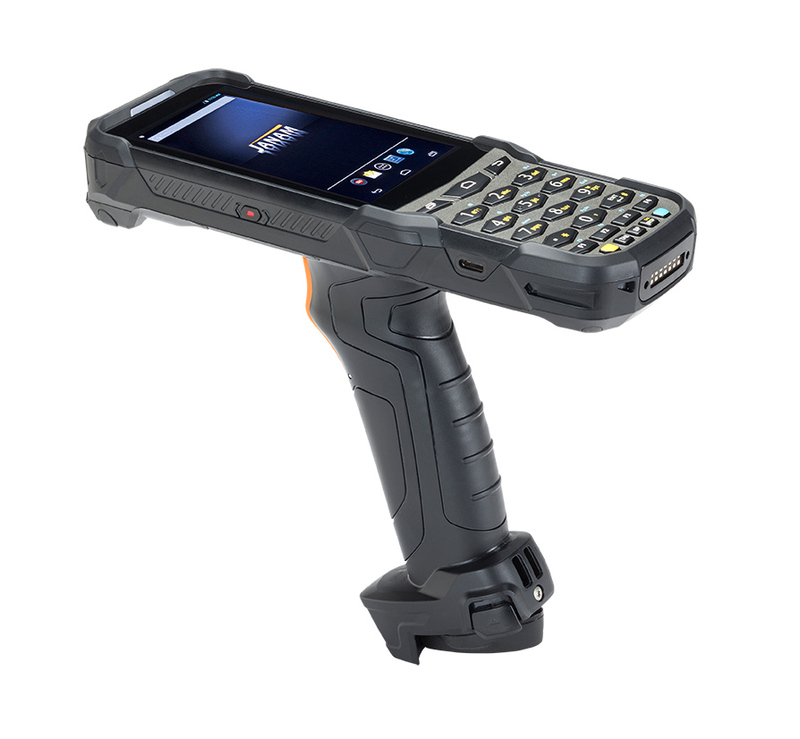 The rugged, gun-shaped mobile computer can maximize your warehouse operations with its industry- leading design, super-fast processing speed and superior barcode scanning technology. The XG200 can increase mobile worker’s productivity by more than 25 %! 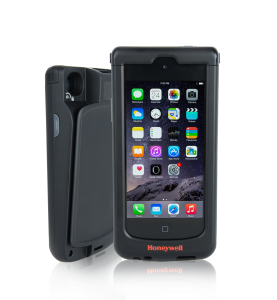 In addition to the superior features, the XG200 also have a variety of accessories to pair with to keep your mobile solution running for as long as you need. 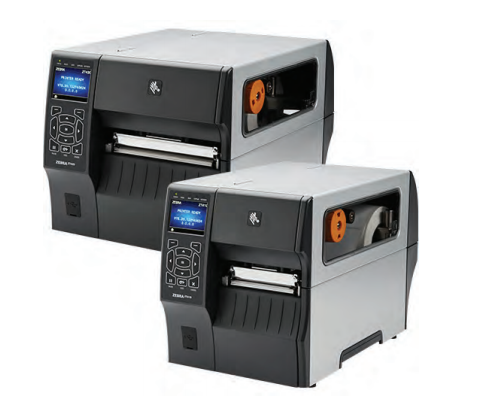 The Janam XG200 is ideal for a scan-intensive, extended shift use in demanding environments with all the right features and the right price. 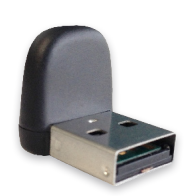 Take advantage on our promotion and shop now, Barcodes is offering FREE 2- Day Shipping on all orders on Barcodesinc.com with promo code FREESHIP! 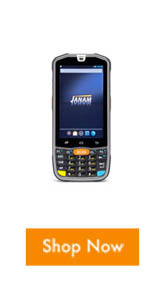 Contact us if you have want any more information regarding the Janam XG200 or need a warehouse solution and we will be happy to help. 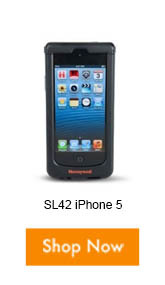 *Enjoy Free 2-Day Shipping on all orders on Barcodesinc.com. 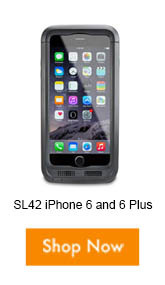 Offer valid in the US only. This offer is not valid on international orders. Offer cannot be used with other discounts or promotions. Offer expires on October 5, 2018 at 11:59 pm CST.